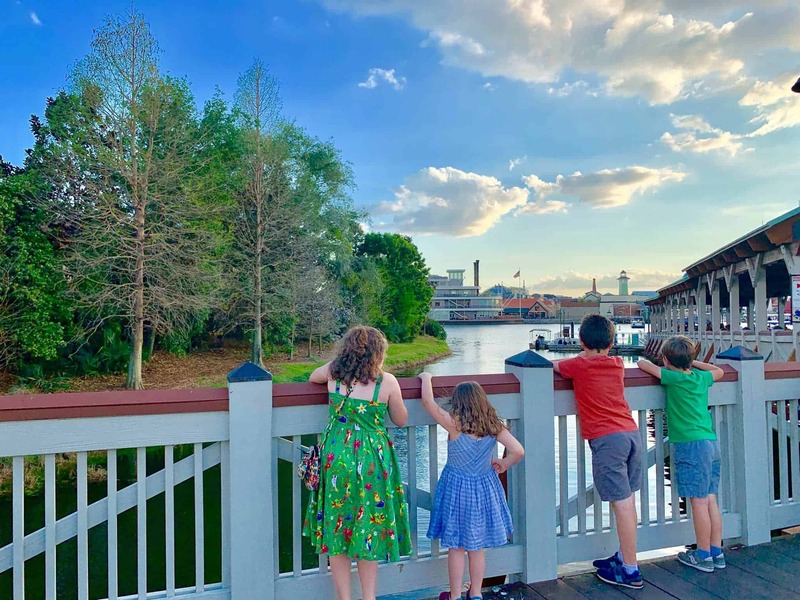 As a family of six, our vehicle options are limited. 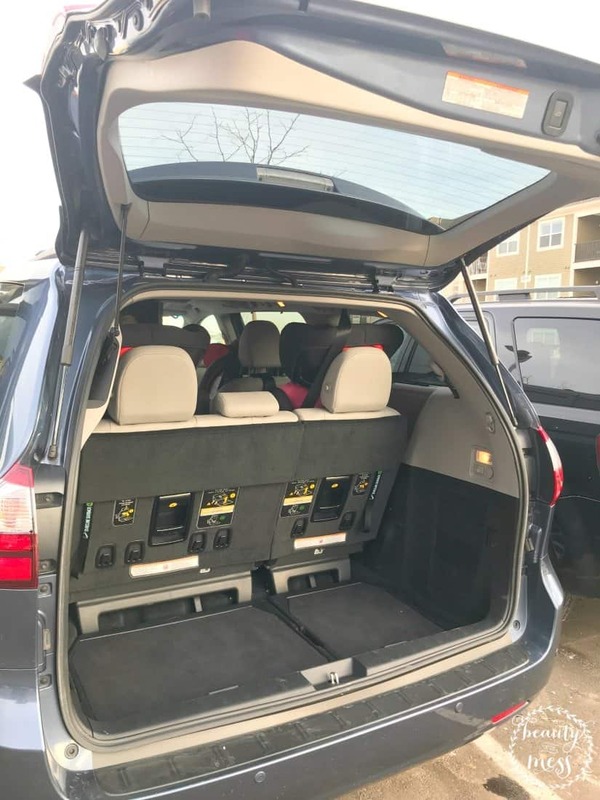 Add in two car seats plus two boosters, and space is at a premium. We can either drive a monstrous tank, SUV, or minivan. But finding the perfect road trip vehicle is difficult. I found it though. The unicorn of road trip vehicles for families of six. It’s perfect. When we made our cross-country move from North Carolina, we drove a minivan. Space was great but I didn’t love it. Moving to Denver, driving in the snow made me nervous, so we traded in the van for an SUV. That was good for awhile, but it’s huge and the gas mileage isn’t great. 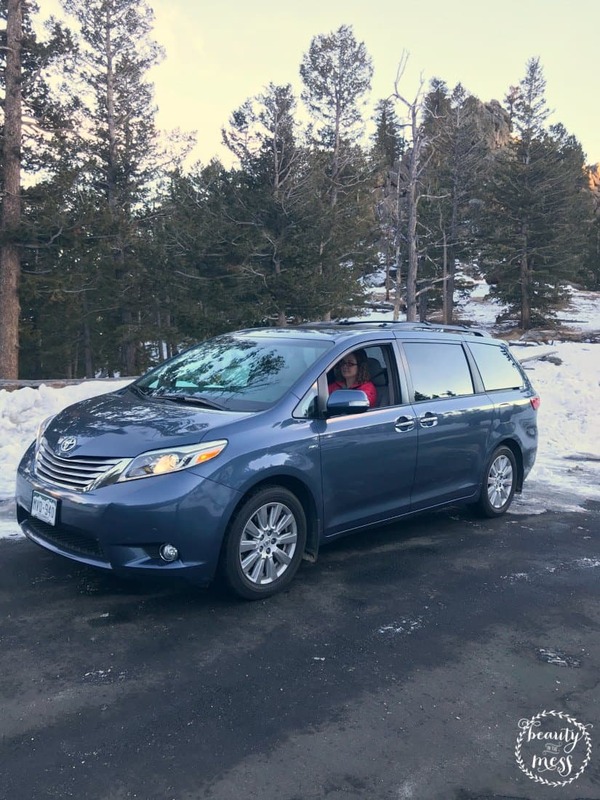 When Toyota loaned us a 2017 Sienna LTD Premium to drive around for the week, I fell in love. I forgot how much I love minivans. They are truly a mom’s best friend. While Toyota lent me the van, all opinions are my own. Let me tell you how amazing this van was. I forgot how much I loved driving a mini-van. Yep. I said it. I LOVED driving the 2017 Sienna LTD in Shoreline Blue Pearl. So much so that we’re looking at trading in my current car and purchasing one. I loved it that much. 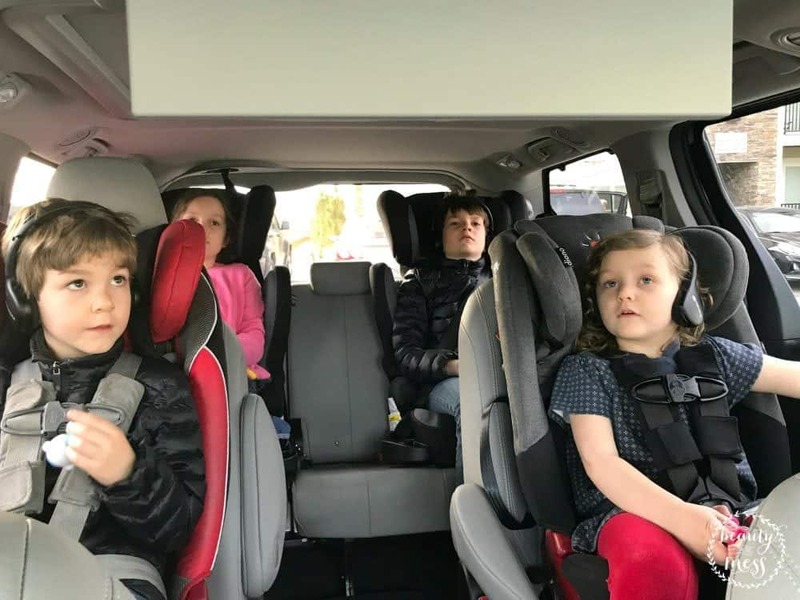 What makes it the perfect road trip vehicle for families? Let me count the ways. Automatic sliding doors make drop-offs at school SO much easier. I’m not sure how I’ve made it through almost two years of school drop-offs and pick-ups without the sliding doors. Not to mention the audible gasps when kids fling open car doors in parking lots. That stress is no more in this van! The Dual-View Blu-Ray rear seat entertainment with wireless headphones was perfect a life-saver. For real. 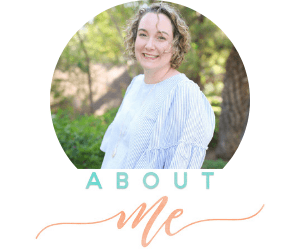 It allowed my husband and I to listen to what we wanted to and chat about what the next six months might look like. We could either listen along to the movie or let the kids listen with the wireless headphones. Plus, all the kids had THEIR OWN headphones. Do you realize how HUGE this is?! No fighting. No bickering. Silent bliss as they watched the movie. I loved the LATCH system. I know. I know. I’m such a mom. But it was nice knowing that my kids in 5-point-harnesses were safe, as well as my older two in boosters that can use the LATCH system. Not all vehicles that fit large families have the LATCH system for every seat, so that’s definitely a plus. The heated seats and heated steering wheel were AMAZING for this Colorado winter. Um. I didn’t want to give it back purely for that reason. The dual moonroof was especially nice on our way home when the kids were cranky. We talked about the stars and how bright the moon was. It at least took their mind off of the drive back for a little while. Don’t forget about the SPACE. Oh my goodness. THE SPACE. It was glorious. The trunk was spacious. The younger two were in the captain chairs on a track, so they weren’t squishing their older siblings in the back. There was plenty of room for the big kids to climb to the back. The trunk. Oh, the trunk. It was amazing. Plenty of room for all of our luggage plus any souvenirs we might pick up along the way. Everyone was sad when we had to return the 2017 Sienna LTD. There might have been a few tears. 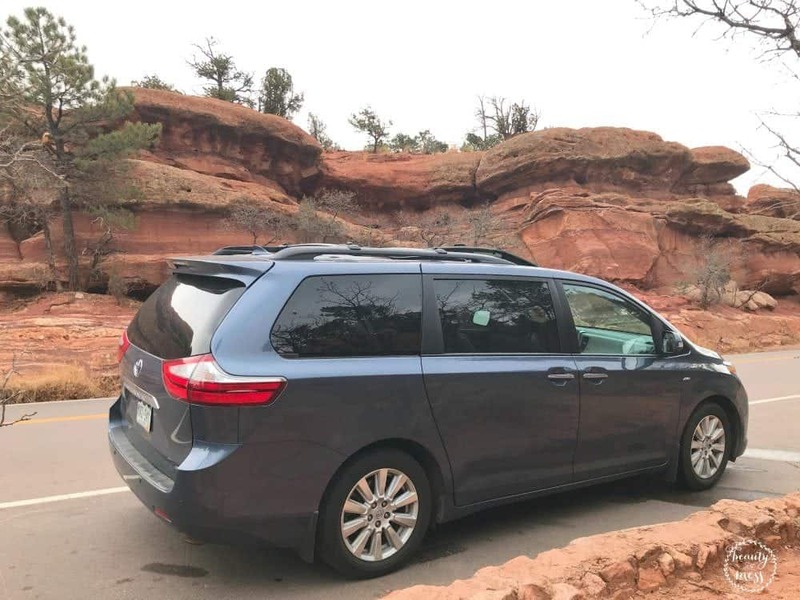 If you are looking for the perfect road trip vehicle for families, this is it. The 2017 Sienna LTD was exactly what we’ve been missing in a vehicle. It’s perfect for large families and road trips. We can’t wait to have one of our own and create our own adventures.